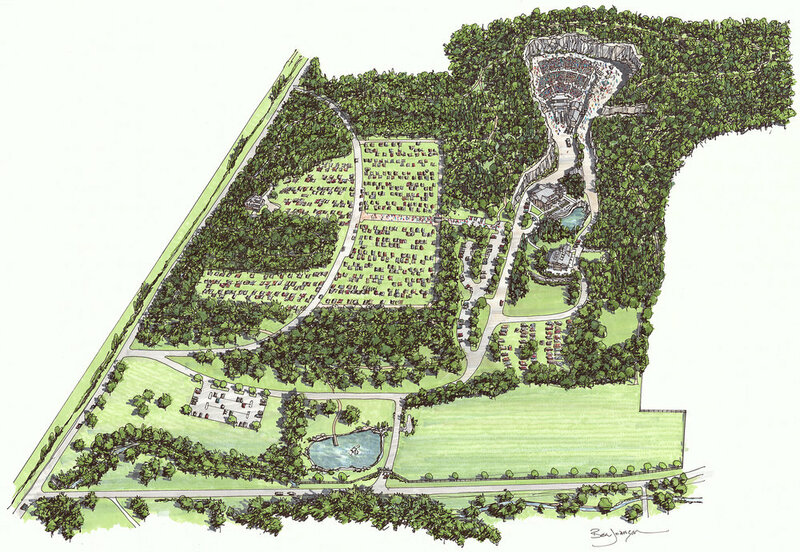 The Amphitheater at Graystone Quarry is Underway! 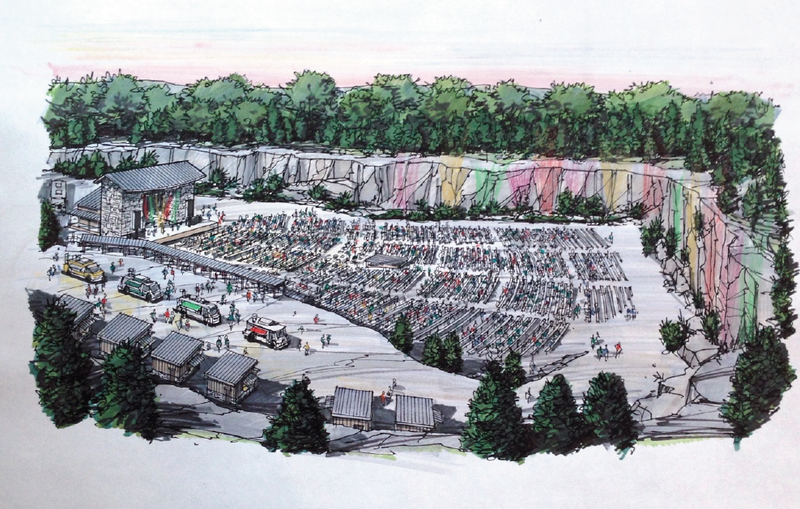 The Amphitheater at Graystone Quarry will provide an amazing visual and acoustic experience for outdoor music events. Cliffside lighting incorporated into the stage and set design will put you IN the concert, not just at the concert. There will be a generous mix of VIP cliff-side box seating, reserved, and general admission - a seat for everyone! Our other event buildings will be used on concert nights for VIP dining in the Gathering Hall and artist meet & greets in the Hillside Pavilion. The 1.5 acre vendor area will be used to host the best food trucks and upscale concessions that middle Tennessee has to offer. Capacity: The world-class boutique amphitheater will have room for up to 7,500 concert attendees and a spacious 1½ acre plaza area for gathering, dining, and merchandise. Food: On concert nights, there will be various food options – pre-concert dinner in front of the waterfall, food trucks serving local favorites, healthy concessions and grab-and-go quick serve options. Comfort: The amphitheater will have seats for everyone – stadium-style flip down seats closest to the stage, bench seating with backs in the next section and bench seating without backs in the third section. There will be 24 box seats in the amphitheater bowl and 18 elevated cliff suites overlooking the stage. All seating will have excellent site lines to your favorite performers on stage. Experience: The facility will feature state of the art sound, event lighting and large screen image amplification in a natural outdoor setting. Convenience: Easy highway drive less than 30 minutes from downtown Nashville with abundant onsite parking. Sign up with your email address to receive news and updates as we get closer to the 2020 concert season.